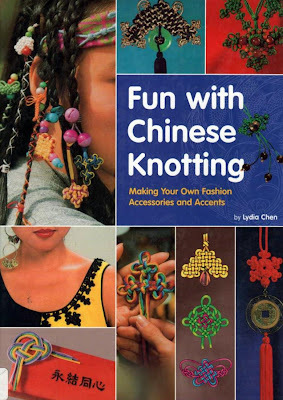 I want to learn how to make decorative knots. 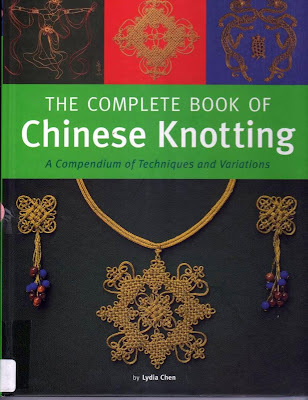 The Chinese knots are so beautiful and have an interesting history. My husband helped me set up a knot board. 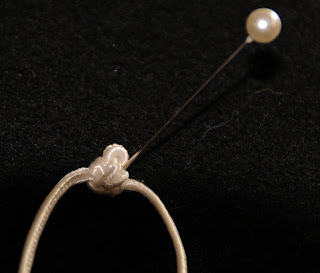 I worked on my first knot. I need to get some different cording. It is very fun to do. 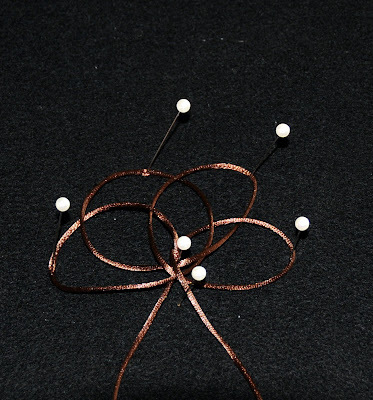 I want to make decorative knots for my prayer ropes. I also want to learn how to make Celtic knots. I think they are very similiar. I found the red satin boxes at the thrift store. Perfect place to store my knotting supplies.